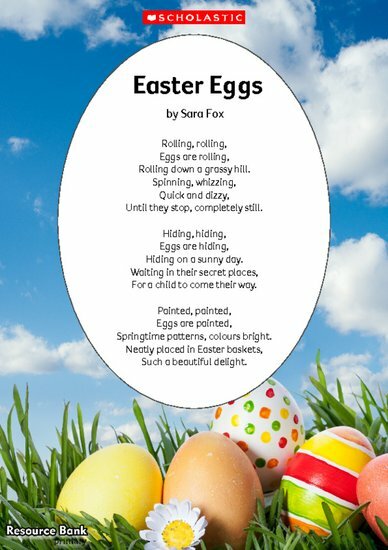 The ‘Easter Eggs’ poem celebrates the different ways that eggs are used at Easter time. It uses lots of verbs to emphasise a sense of movement and personification to create a vivid picture of the ‘dizzy’ eggs. You could get your children to construct their own poem using the ‘Easter Eggs’ poem as a model and incorporating the verbs, adjectives and adverbs that they noted down after the egg rolling.